Time for our first Newsletter of 2019. You should see one a month being produced. Feel free to sign up for notifications at the bottom of our News page. 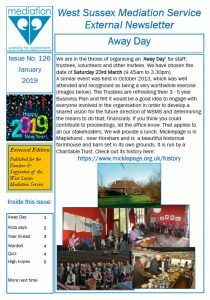 Included in this edition we mention our forthcoming Away Day at Micklepage plus a quiz that looks back on trends in 2018. See if you can all five questions right.